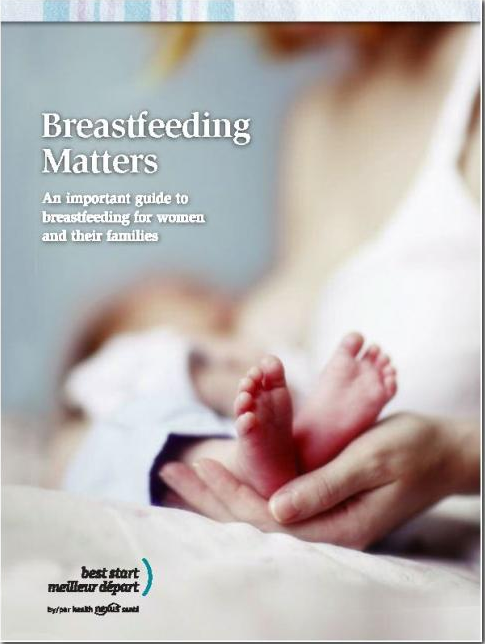 This booklet will help women and their families explore breastfeeding. Topics include making an informed decision, getting started, learning to breastfeed, latching, common concerns, frequently asked questions, and where to get help. There are also PDF fact sheets on the Best Start Resource Centre website that complement this booklet: Blocked Ducts, Breast Infection (Mastitis), Expressing and Storing Breastmilk, Thrush.